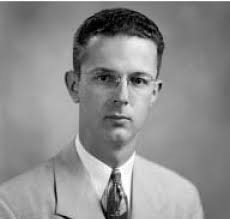 John Webster Kirklin (April 5, 1917  April 21, 2004) was an American surgeon who made early contributions to cardiac surgery . He enhanced the heart-lung bypass machine to make it feasible for routine use. Kirklin led the surgery departments at the Mayo Clinic and the University of Alabama School of Medicine. Kirklin was born in Muncie, Indiana, United States. After graduating from Harvard Medical School in 1942, he made several important contributions to heart surgery while practicing at Mayo Clinic in Rochester, Minnesota. He is noted especially for refining the heart-lung machine originally developed by John Gibbon, to the point that heart surgeries could be performed with a high degree of success. Kirklin was responsible for bringing the heart-lung machine into routine use in heart surgery.When he had performed 100 open heart operations the other heart surgeons in the world had not together reach this number. After years as the Chair of the Department of Surgery at Mayo Clinic, he accepted the same position at the University of Alabama School of Medicine in 1966. He built the school and UAB Hospital system into one of the leaders in the health care industry, and UAB named its Kirklin Clinic in his honor. He was awarded the 1972 Lister Medal for his contributions to surgical science. The corresponding Lister Oration, given at the Royal College of Surgeons of England, was delivered on 11 April 1973, and was titled ‘An Academic Surgeon’s Work’.